In 2012, I have worked on a documentary about the Eocene period of Earth History, movie realized by Olivier Lemaître (Sequana Media agency) for the City of Paris. The film has been broadcasted for ‘La mer à Paris (the Sea in Paris), an exhibition shown in 2012 at the Musée National de la Marine (French National Marine Museum) and between 2012 and 2016 at the Catacombes de Paris. My part has been to collect information on Paleontology. So, for this assignment, I have searched the related documents in order to write the script. Even if the movie has been intended for a large audience, we have wanted to present sound information and to pass on some scientific knowledge to the public. 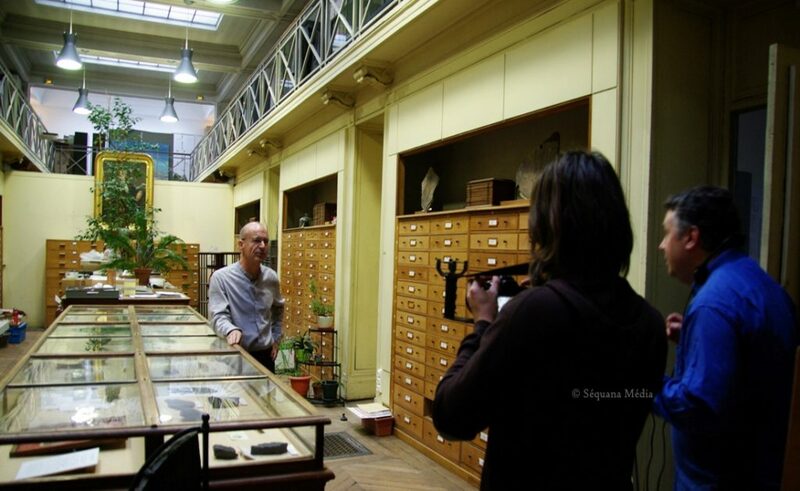 This is why I have interviewed some experts of the Museum National d’Histoire Naturelle (French National Museum of Natural History), such as Dario de Franceschi, lecturer (associate professor, CNRS – MNHN – Sorbonne University).